The vintage, high-end bass guitars at Nashville Gear Factory have everyone in awe. These incredible pieces are ready to find their way to your home. 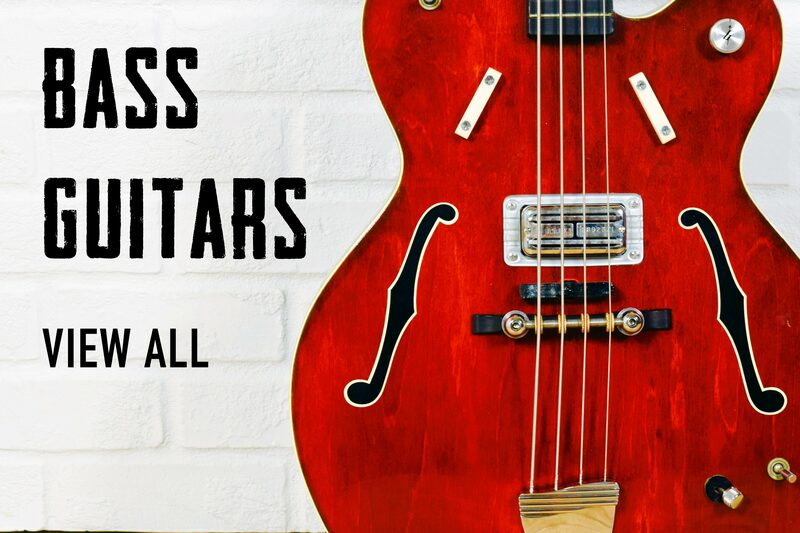 Used and vintage bass guitars are just one portion of our collection of used musical instruments for sale that we can’t wait to share with you. When you buy a used bass guitar that we have for sale at Nashville Gear Factory, you can trust that we’ll handle your instrument with the utmost care. No piece leaves our care without a careful inspection, thorough and thoughtful packaging, and a pleasant goodbye. These used bass guitars may be second hand, but they are in no way shabby or irrelevant. We strive to find the best and most authentic instruments for our fellow collectors and are always a little sad to see these instruments go. However, it’s easier to manage knowing that you will create impeccable sounds on these lovely ladies. Playing the bass on one of these collectibles means playing with every musician who played it once before. You can add your own story to one of these authentic and amazing bass guitars. If you have a unique, authentic, or vintage bass guitar that you’d like to sell to trustworthy collectors, we've got you covered. You can trust that it will be in good hands as soon as it leaves yours. Enjoy our collection of used bass guitars for sale at Nashville Gear Factory, and don’t forget to check out our other musical instrument collections, too.